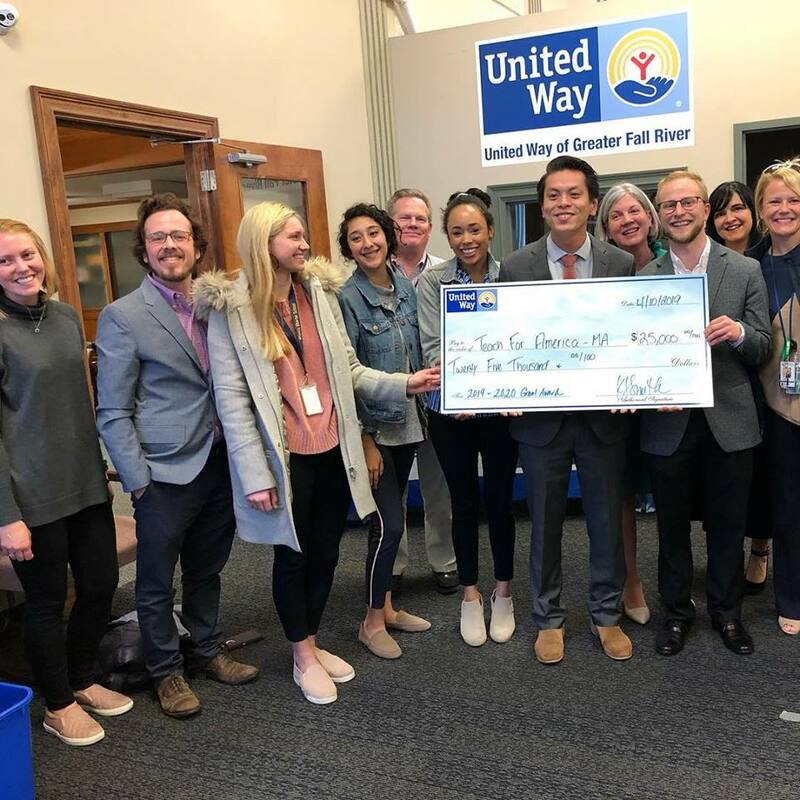 For the 11th year, United Way of Greater Fall River donated to Teach for America to help fund the program in the City of Fall River. 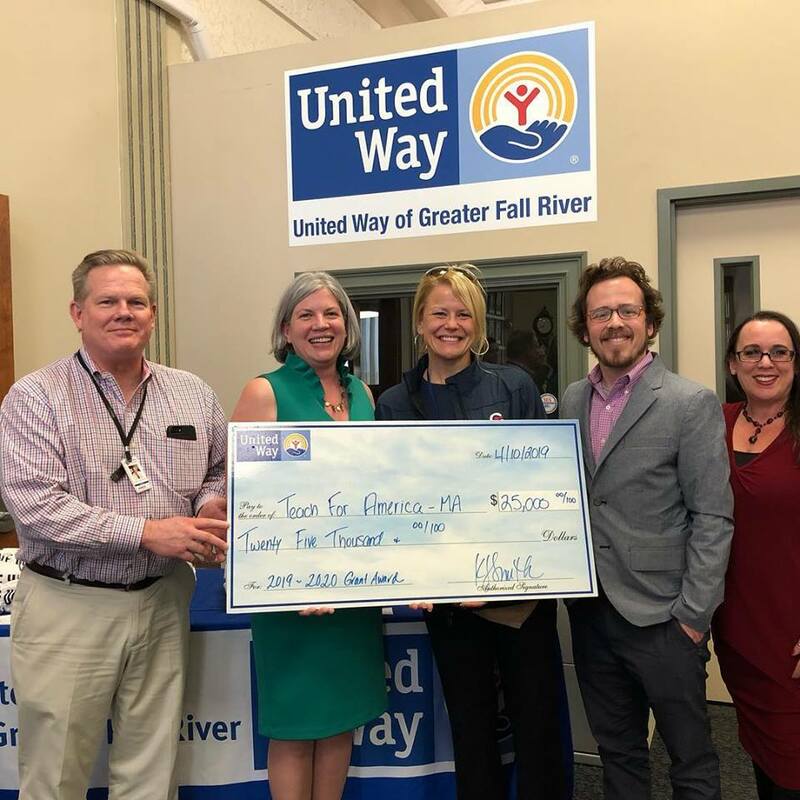 United Way of Greater Fall River Executive Director Kim Smith presented a $25,000 check to Teach for America on April 10th, 2019. Dozens of passionate young teachers work in Fall River public and charter schools, bringing quality education to our community. A dynamic charter sector, including Alma del Mar Charter School, City on a Hill – New Bedford Charter School, and Argosy Collegiate Charter School, is combining innovation and time-tested practices to provide a transformational education for South Coast kids. At the same time, leaders of the New Bedford and Fall River districts are taking bold steps towards improving student outcomes. 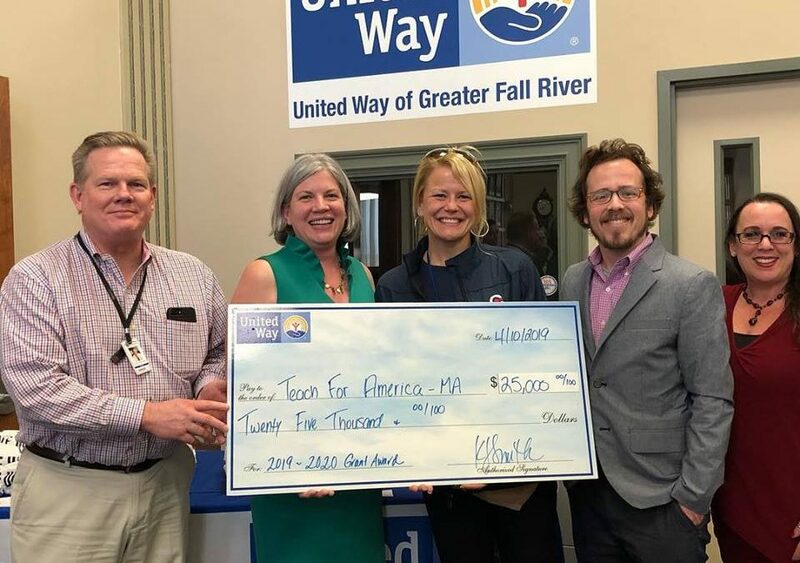 Donate today to UWGFR to continue improving education in Greater Fall River.